America declared their independence from the United Kingdom on July 4, 1776. 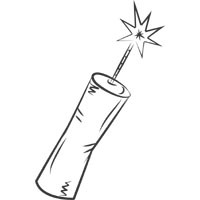 Here is a great collection of fireworks, American flags and Uncle Sam images, free to download, print and color. For more 4th of July games, printables and activities, visit Independence Day Fun.